State Route 56 to Bascom Corner Rd. Gorgeous level to rolling 34.65 acres. 277 ft. circle driveway access off Bascom Corner with other road front off Split Oak Trail. Water & electric are run 250 ft into property. Beautiful homesites. Clearing has begun for 2-3 acre lake. 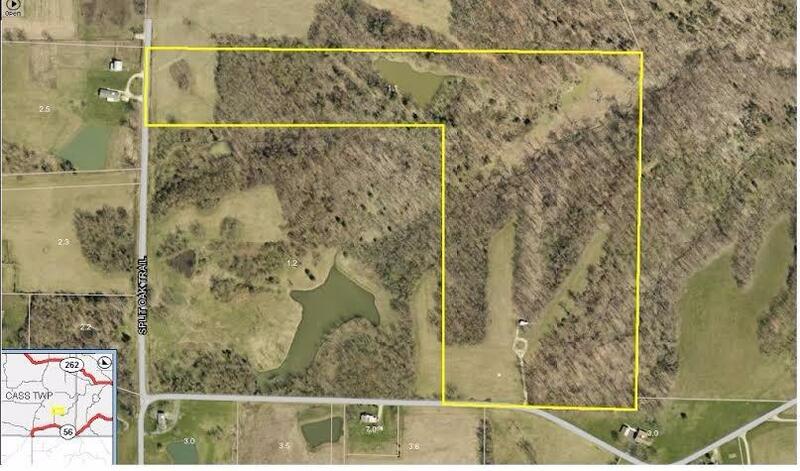 1/2 acre pond on property. Recreational Paradise! This listing courtesy of Julie Pieczonka (513) 378-0183, Hoeting, REALTORS 513-451-4800.